How to fix a floor lamp made in China which has a loose/wobbly base after much use. They placed the bolt first then washer/nut and it cannot be removed or tightened? According to the picture, the order of the parts is correct. The small nut , the first item in the left side of the picture is the nut that tightens the whole lamp. The bolt you mention, is a piece of pipe Usually 1/8", so the wire can be fed through it to provide the electricity. The parts shown from the right to the left appear to be a spacer, a washer, and the nut. Tighten the nut as necessary being careful to not over-tighten. Make sure the nut is not stripped or broken. One last item, there should be a small nut on the top of the lamp assembly, just below the socket that you may be able to tighten also. Hope this helps. You will likely need to disassemble the lampholder and disconnect the wires (unplug first...lol) so they can be pulled down through the base. Then, properly fasten the nut and washers and feed the wire back through and reconnect. There are some tricks. 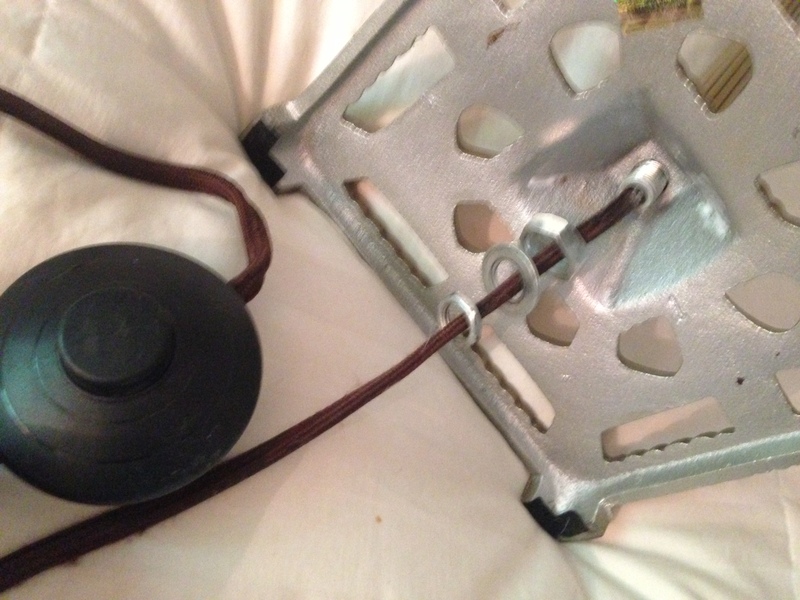 I have seen people connect a single thin steel wire to the lamp cord prior to pulling it out, to facilitate pulling it back through easily. What length of Tapcon/ramset nail for base plate?